In order to make it easier for you to communicate with your audience, we just released game update notifications! 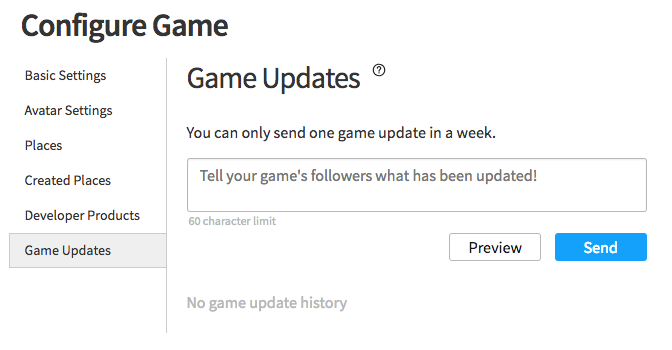 This feature lets you send short messages to followers of your game so they stay informed of recent changes. 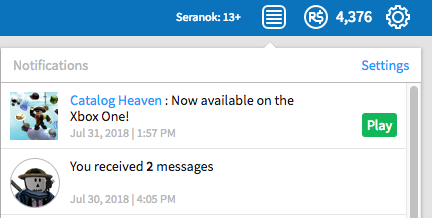 The notifications show up in the notification tray and players can launch the game directly from the notification. Q: I want to put more than 60 characters worth of information in my game updates. Can you raise the limit? A: We wanted to make sure your messages don’t get cut off when displayed in the notification tray. In the long term we plan to build a changelog feature, which will support much longer update descriptions and will be accessible from game details. Q: Why can I only send one game update per week? A: We want to verify that this feature does not get overused and detract from the player experience. We will consider allowing more frequent notifications in the future. Q: How do I tell how effective my update message was? A: In the near future we will add statistics to provide information such as impressions and click-through rate for game updates. Let us know what you think! Special thanks to @nsgriff for kicking off this project as well as @iriszh, @KurtisC_Roblox, @StrangeLooper, and @zDedrid for making it a reality. Thank you for adding such a great feature! Although, I am wondering… will Favorites remain? They only served to bookmark games, and it would make more sense for follows to serve double duty and minimize the amount of buttons. Will the changelog have that “one update per week” limit, or will that be removed for the log due to the fact that it doesn’t need to notify? It’d be good to keep smaller changes noted within the log, while at the same time sending out notifications for larger changes, or when a bunch of smaller changes have built up. We imposed the limit because you are notifying potentially thousands of users. Changelogs will likely not notify when posted so do not need a limit at all. Mentioned this earlier, but it would be really nice if the thumbs up / down bar could be a bit taller (and less cramped). Im hoping that they merge favorite/following. Only real hurdle I’m seeing is how it’s classified. If it’s marked as favorited, it’s a bit hard to describe the notification stuff in the way the term following can, and yet at the same time if it’s just following it’s a bit odd to do that without reworking the favorites stuff a bit, such as the main favorites page. If there can be a way to mix both without confusion, I’d go for it though! Gives more room to place whatever extra button we would need there, instead of two buttons which feel like pieces of what should be one more feature-packed button. My idea is to drop favorites, and make everyone who favorited the game, follow it, and then only have following. OR get rid of following, and merge the new feature with favoriting. Try clearing your cache and disabling any custom CSS. A lot of things to consider if we were sunset Favorites. I suggest writing a Feature Request on it. Making a “Games Playlist” where you can share and curate your own playlists of games. These aren’t perfect and I am not saying we are doing these. Lots of things to consider when considering the merging or sunsetting of a feature. I don’t see why this is even being considered. 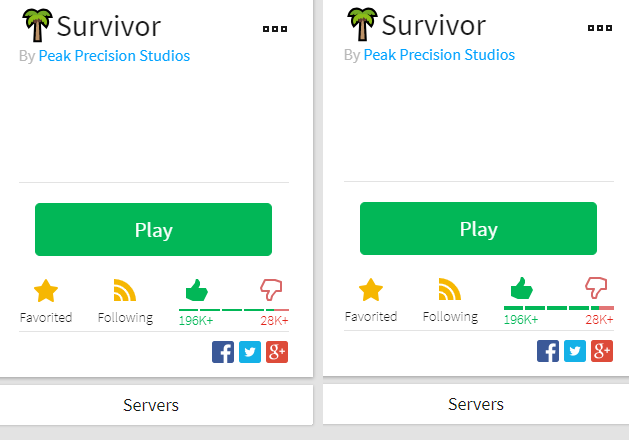 Favoriting a game is akin to pinning it to your homepage. 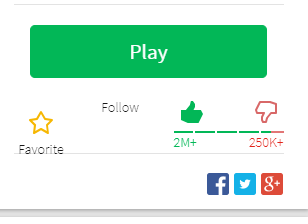 Whenever a player logs into Roblox, they first land on their favorite games. Merging these two is reducing user control. Favorites are an essential mechanic for games with dedicated followers. Do you have any plugins or custom styles for the website? Maybe try disabling those or clearing your cache?